Director Roman Polanski, Ben Kingsley and Sigourney Weaver on the set of Death and the Maiden (1994). Sigourney Weaver on set of Alien 3. 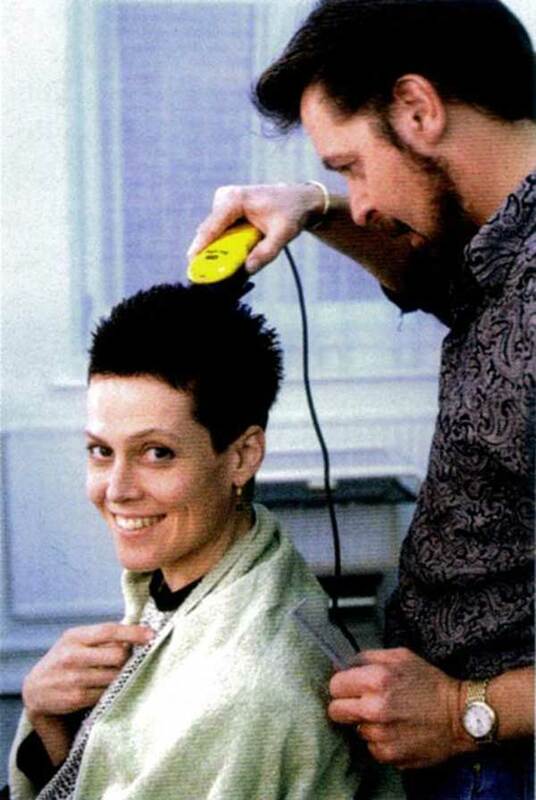 Sigourney Weaver shaving her head for Alien³ (1992, by David Fincher). Posted on December 21, 2014 December 19, 2014 Categories DecemberTags Alien 3, David Fincher, hair shaving, on set, sigourney weaverLeave a comment on Sigourney Weaver on set of Alien 3. You know her from Alien, among others. Here she is Sigourney Weaver by Helmut Newton, Los Angeles 1983. And for a bigger dose of images, like us on Facebook, you know where !